How often has it happened that you and your dog are enjoying a nice walk together, obeying leash laws and all of the sudden an unleashed dog comes barrelling at you out of nowhere? It happens to us on nearly every walk and there are some repeat offenders! Usually, their owner is not far away and will offer some vague excuse at why their dog is unable to wear a collar or leash... and at that stage I have to bite my tongue! 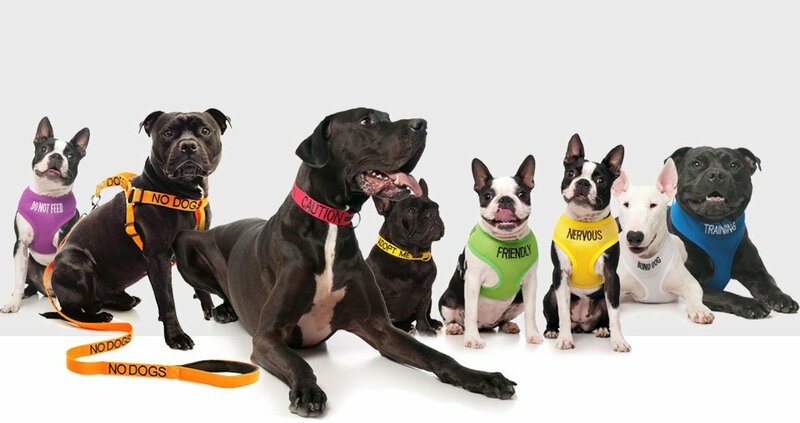 Thankfully we discovered an Australian company Friendly Dog Collars offering a fantastic range of colour-coded (based on the simple traffic light system) collars, harnesses and leashes, that clearly spell out our dog’s temperament to the world. The range has been expanded and now includes 10 separate collections covering any possible situation (Blind, Deaf, Service Dog, Friendly, Nervous, Caution, No Dogs, Do Not Feed, Training or Adopt Me, which is great conversation starter for foster carers). Each collection features specific colour coding and wording with six items in each range, depending on your dog’s needs. The collars, harnesses and leashes are made of a super strong polypropylene webbing with large bold lettering that can be seen from a distance. The collars come in two different styles (a standard clip collar and a half clip collar or martingale style) and the sizes can be adjusted to fit your dog. The extra large width (4 cm) adds visibility to the wording on the collar. The adjustable strap harness is fully adjustable and will suit the most common breeds from Jack Russell Terrier to Rottweiler (fitting chests ranging from 59-92 cm). Matching leashes featuring very comfortable neoprene handles are also available. For those cold rainy days, there is also a reflective weatherproof coat with the printed words visible on both sides. 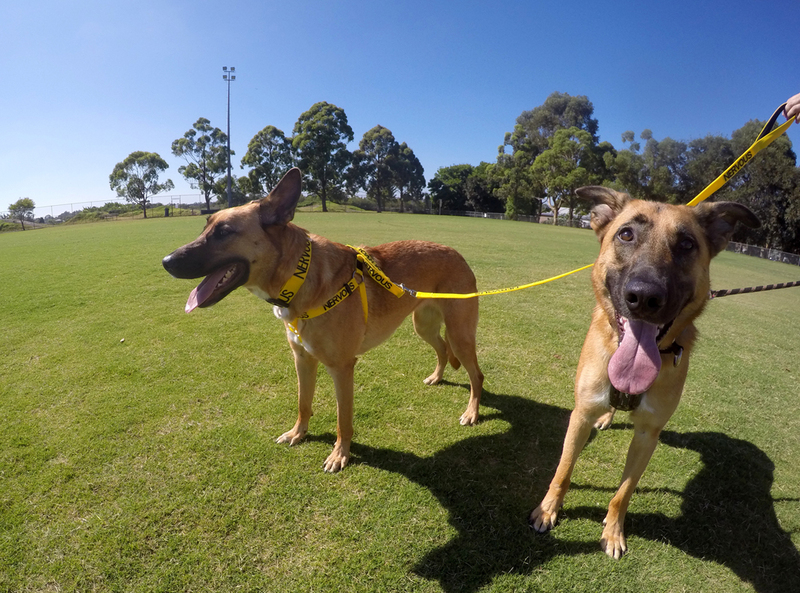 Sporting our bright yellow "Nervous" collar, harness and leash combo on recent outings, I found it a huge relief not to have to explain why our rescue dog needed some extra space on the footpath as he often gets anxious if someone walks forcefully towards him and tries to make direct eye contact. All the products are machine washable at 30ºC (you can wrap them in a towel or an old pillowcase). All products must be rinsed well in freshwater after their use in saltwater. RRP: $33.95 for the adjustable strap harness; from $22.95 for the slip collar; from $24.95 for the leash (available in 60cm, 120cm or 180cm). Product gifted by Friendly Dog Collars for editorial consideration.